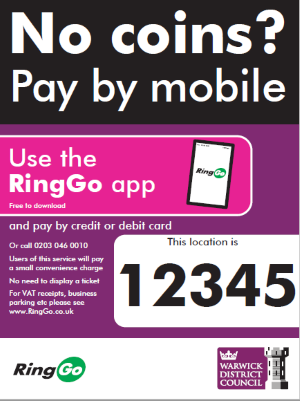 RingGo is a quick and easy way to pay for your parking across Warwick District Council. You simply contact RingGo using the smartphone app, phone call, SMS or on-line and book/pay for your parking by phone when in an area featuring the RingGo service. 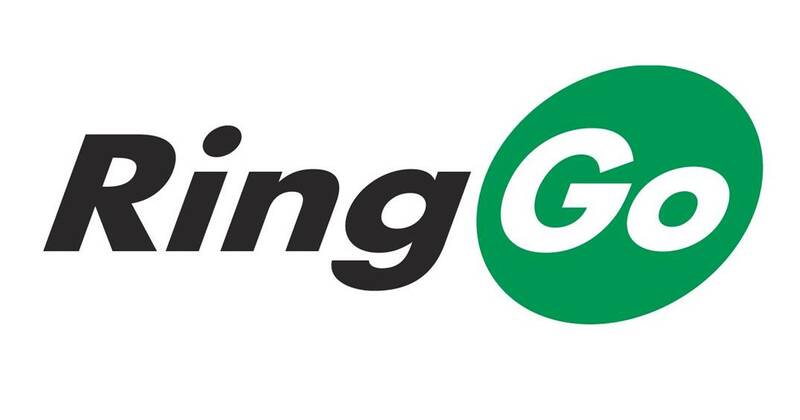 You can pre-register with RingGo either by using the RingGo smartphone app or register on the website. Alternatively, once the service is live, you can register at the same time you want to park, either by using the RingGo app or by calling the RingGo number which is 020 3046 0010. The location code where you are parked. Each area offering RingGo has its own four or five digit location number. Local signs provide this information. In the image (right), the location code would be 12345. The RingGo app operates at all RingGo locations and should highlight the correct location where you are standing. Please make sure you double check this against local signage, as in some places, zones are closely located. There are a number of ways you can pay for your parking. You can see the location numbers in your area and across the UK.